Tencent’s instant messaging platform, QQ, was released in 1999. QQ is an instant messaging software service operating in China. The company provides online games, music, shopping, movies, group and voice conferencing, micro blogging platforms and social networking services. 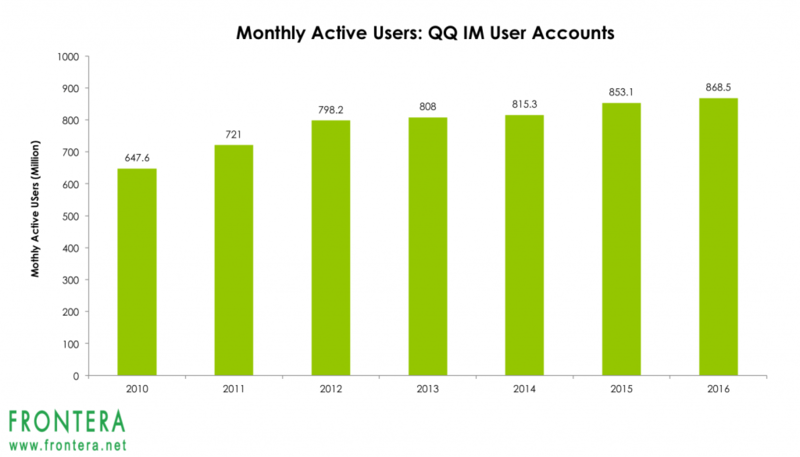 QQ currently boasts of 850 million monthly active users (MAU) (as of Q2 2017), down 5.4% year over year. However, for younger users (aged 21 years and below) MAU increased, indicating QQ’s popularity among the younger generation. Features within Mobile QQ such as Kandian news feeds, reported higher time spent by average users. 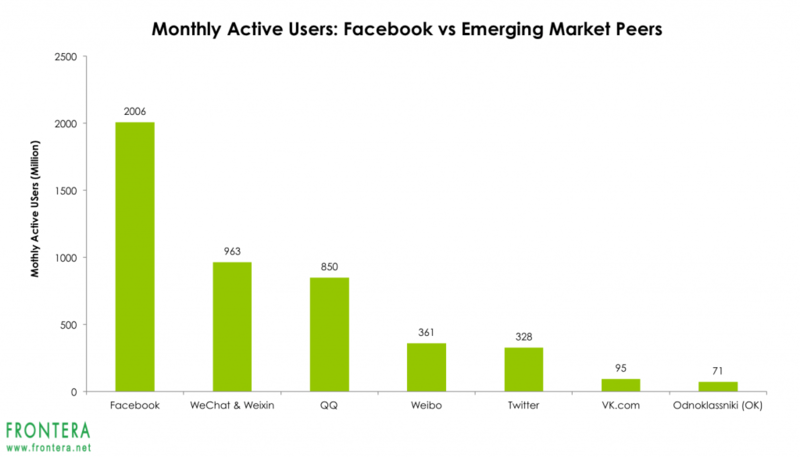 The company’s daily active users stand at 486 million, as compared to 1.3 billion for Facebook, and 159 million for Weibo . With a market cap of $420 billion, Tencent holdings is one of the largest tech companies in China. Tencent Holdings trades on the HongKong, Frankfurt, Stuttgart, and Mexico Stock Exchanges with tickers 0700.HK,NNND.F, NNND.SG, and TCEHYN.MX. The company’s ADRs also trade on US OTC Markets with tickers TCEHY and TCTZF. Chinese microblogging network Weibo is popularly known as the Twitter (TWTR) of China, but is actually a mix of Twitter and Facebook. Investors call Weibo the Twitter of China because it follows the same 140-character limit as Twitter. However, because 140 Chinese characters generally mean much more information than that in English, Weibo’s function is more similar to Facebook (FB). Chinese conglomerate Sina Corp (SINA) holds a majority stake in Weibo after it spun it off in 2014. Since Sina also holds a large stake in Alibaba, Weibo is integrated into Sina’s news streams and Alibaba’s (BABA) e-commerce platform. 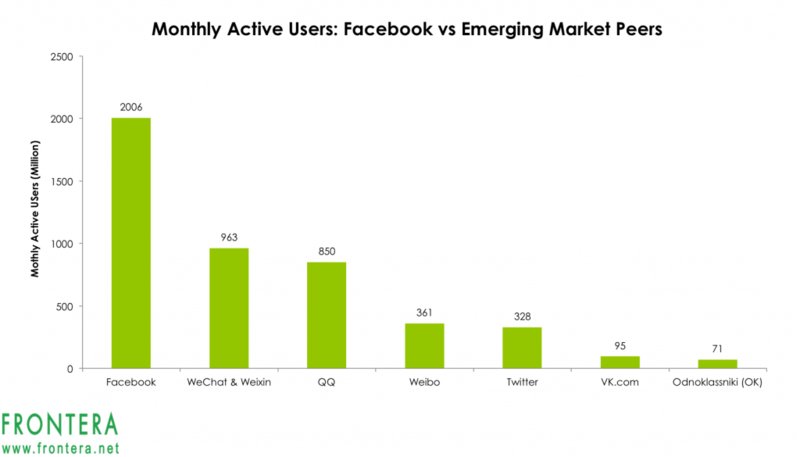 Weibo has a dominant market share in China, since Twitter and Facebook are both banned. In June 2017, Weibo reported 361 million MAU 28% higher on a yearly basis while daily active users increased 26% to 159 million. 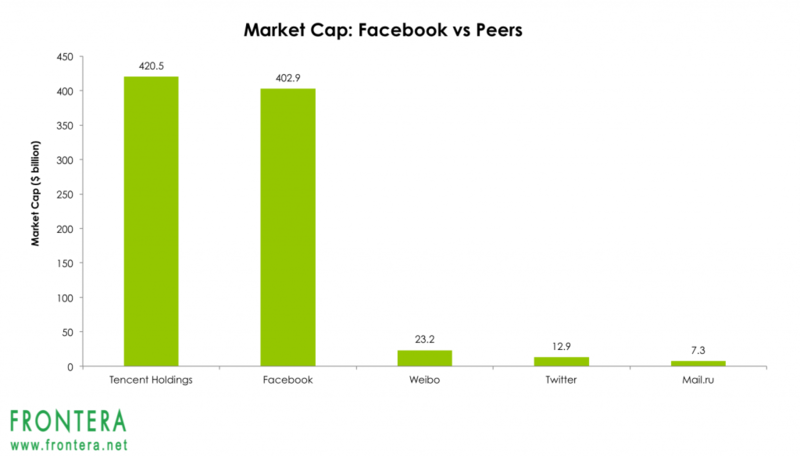 That MAU figure actually puts Weibo ahead of Twitter in MAU. In June 2017, Twitter had 328 million monthly active users. Unlike Twitter, whose growth has been staggering, Weibo is growing very rapidly. Revenues for Weibo have grown by 72%, while earnings have surged 184% year-over-year to $0.33 per share. This represents the 11th straight quarter of triple-digit EPS growth. 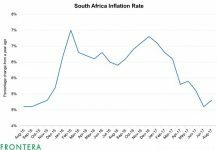 Analysts predict that earnings will grow by 84% in 2017 and 54% in 2018. Weibo’s market value at $23 billion is nearly twice that of Twitter after the company’s ADRs have surged 160% this year, while that of Twitter has returned 8.5%. 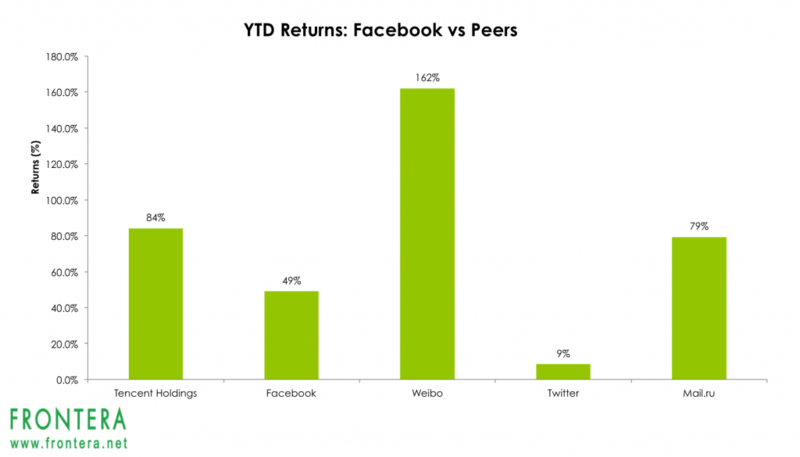 Comparatively, shares of peers Facebook and Tencent Holdings have returned 49% and 84% to investors respectively. Shares of Weibo currently trade on NASDAQ, Frankfurt, Stuttgart, and Mexico Stock Exchanges with tickers WB, 2WBA.F, 2WBA.SG and WBN.MX. Additionally, investors could also gain exposure to Weibo by investing in shares of Sina Corp, or by buying into China’s internet boom by investing in ETFs providing exposure to these stocks. WeChat is a Chinese social media application software developed and owned by Tencent. WeChat provides users a full array of services including payments, e-commerce and instant messaging. 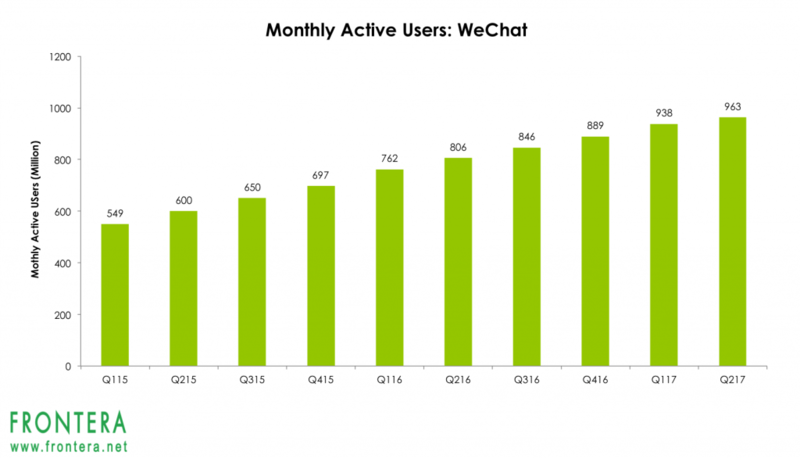 Launched in 2011, it has become the largest messaging app in China with 963 million monthly active users currently. That puts it close to Facebook’s Messenger and WhatsApp that had 1.2 billion monthly active users globally (as of 2016). 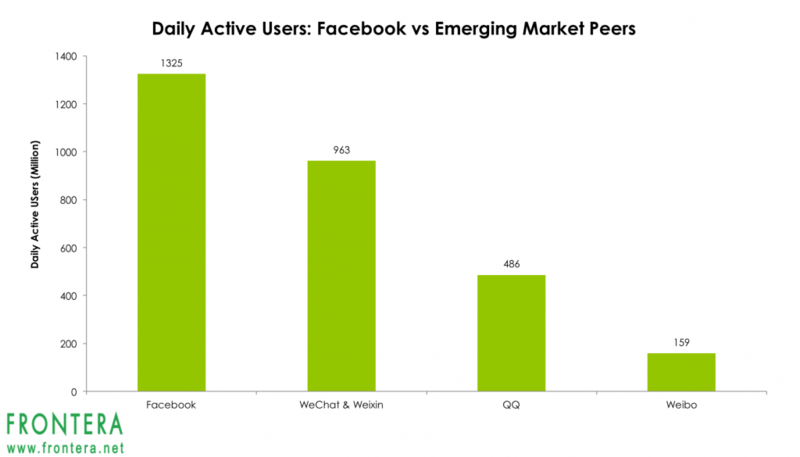 According to data by Mary Meeker’s 2017 Internet Trends, WeChat accounted for about 29% of all the time spent in mobile apps in China. Investors could gain exposure to WeChat’s growth story by investing in shares of Tencent that are currently trading on HongKong, Frankfurt, Berlin, Mexico and Stuttgart stock exchanges. Mail.ru (MLRYY), established in 1998 as an email service has now grown to become one of the largest tech players in Russia with a portfolio of e-commerce, social networks, online games and cloud storage. 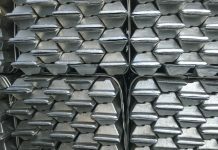 The company also has investments in Facebook and Groupon. Mail.ru holds 100% stake in Russia’s most popular social network VK (previously called VKontakte) and operates the country’s second and third most popular social networks Odnoklassniki and Moi Mir. It also operates two instant messaging networks (Mail.ru Agent and ICQ), an e-mail service and Internet portal (Mail.ru), as well as a number of online games. Websites owned by mail.ru have the largest audience in Russia and reach nearly 86% of Russian Internet users. 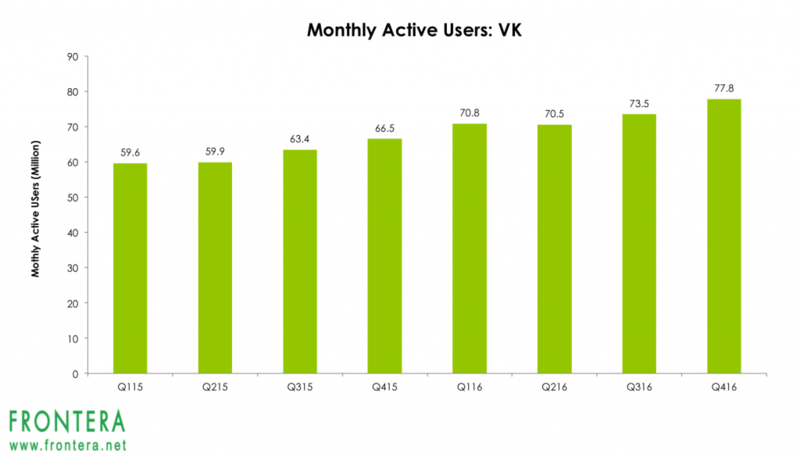 VK has 78 million monthly users, while Odnoklassniki (OK) has 71 million monthly active users (as on December 2016). In 2016, China’s Tencent Holdings (TCEHY) had 7.4% stake in Mail.ru, while Russian telecom operator PJSC Megafon (MFON) owned 15.2%. Mail.ru is listed on the London Stock Exchange (LSE) and Frankfurt Stock exchange with ticker MAIL.IL and RL9A.F. Will These Two Emerging Countries Continue To See Easy Monetary Policy In 2018?